With the triumphant release of “Avengers: Infinity War,” and the dominant presence of Thanos on the big screen, I’m going with Big Bad Supervillain Week as the theme. Decided to show my original go-to supers game some love at the start while also giving a nod to the very first full book I ever wrote in the RPG industry*. 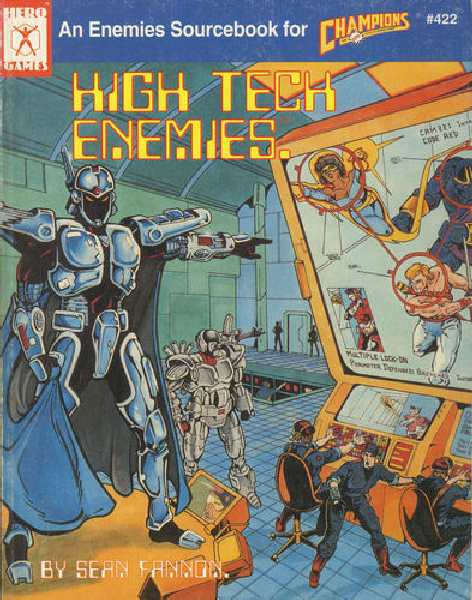 High-Tech Enemies is a “thematic” Enemies book – the first one Hero Games published. Technology and science-based villains abound, and there’s a couple of master villains in there that walk in the Thanos mold, one way or another – make the world better at any cost! (*) – To be clear, no added royalties are in this for me (just the usual affiliate income). High tech Enemies is the definitive source-book for high-tech villainy. This book is full of everything that every good Champions campaign needs; powered armor, robots, gadgets, androids, huge machines, cyborgs- the list goes on and on. Now your heroes can battle mutants that can mentally control electronics, match wits with mega-villains and their arsenal of devices and armies of agents and encounter cyborgs from another world. What more could you want? We round up Pulptastic Week with another great Savage Worlds Pick, the most recent release from Pinnacle Entertainment featuring one of the most iconic space-fantasy pulp properties every published – The Savage World of Flash Gordon! Scott Woodward did an amazing job of taking all of that luscious and evocative material and turning it into one of the most advanced and exciting Savage game experiences ever published, and Shane getting “Flash” himself – Sam Jones – to do the Foreword was no small feat, either! 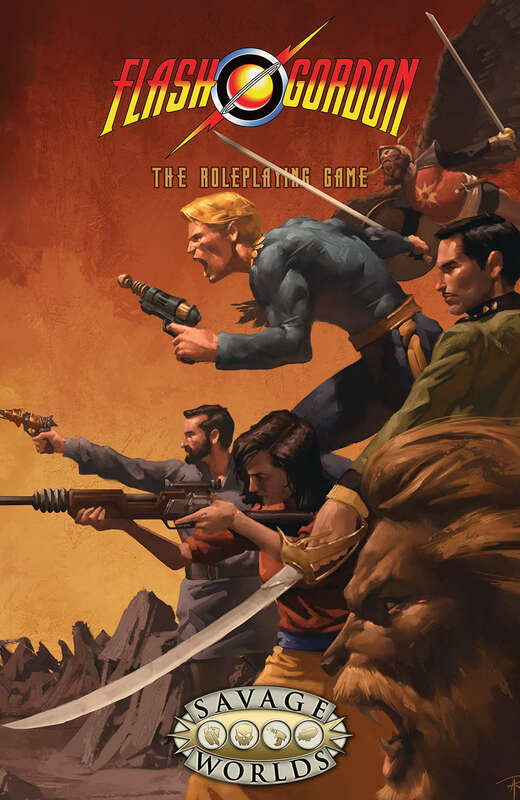 A 192-page core book, adventures, GM Screen, custom dice, Bennies, miniatures, a 192-page companion called the Kingdoms of Mongo, and even 3D rockets are also available. 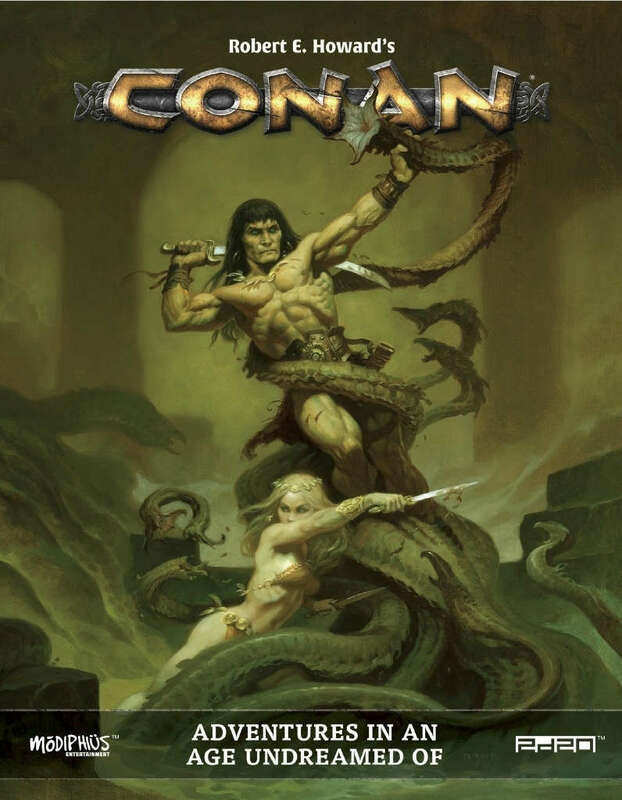 It’s kind of impossible to say the work “Pulp” and not talk about Conan, making Conan: Adventures in an Age Undreamed Of the next logical choice for Pulptastic Week. 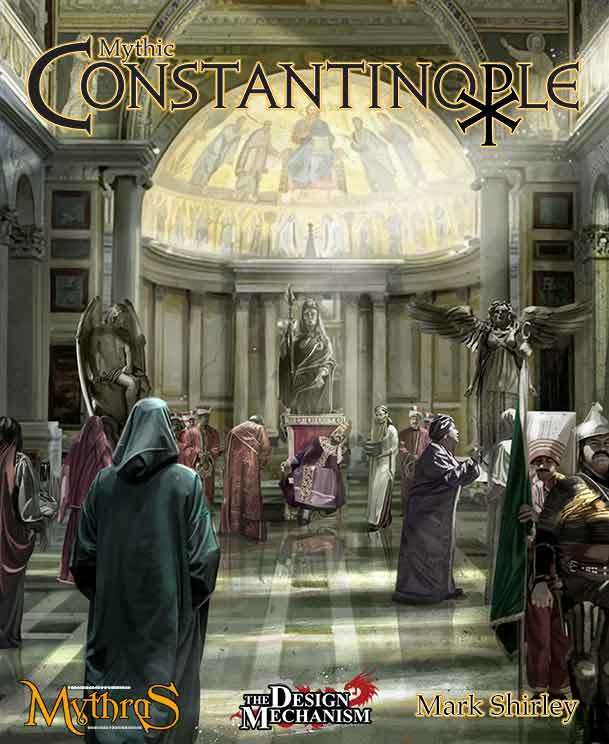 Many are hailing this as one of the best iterations of both the property (Modiphius certainly seems to have the licensing game worked out like a guru) and sword-and-sorcery gaming yet, so it’s well worth your time and money to check it out! 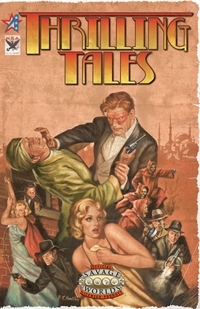 Gareth Skarka‘s love of the classic pulps combined very handily with the core pulp nature of Savage Worlds, thus bringing about the Thrilling Tales line. With loving detail of the genre and the era, the line provides tons of great material for anyone wanting to run during the 20s-40s era, or wants to delve into the classic sources of what we call “pulp.” That makes it a great choice for Pulptastic Week! I’ve just started a new campaign as a play in this, run by Scott Crosson and featuring fellow player (and contributing creator) Ross Watson. Scott’s started us with the Day One events in the Nile Empire, which is one of the great examples of pulp adventure in all of gaming. 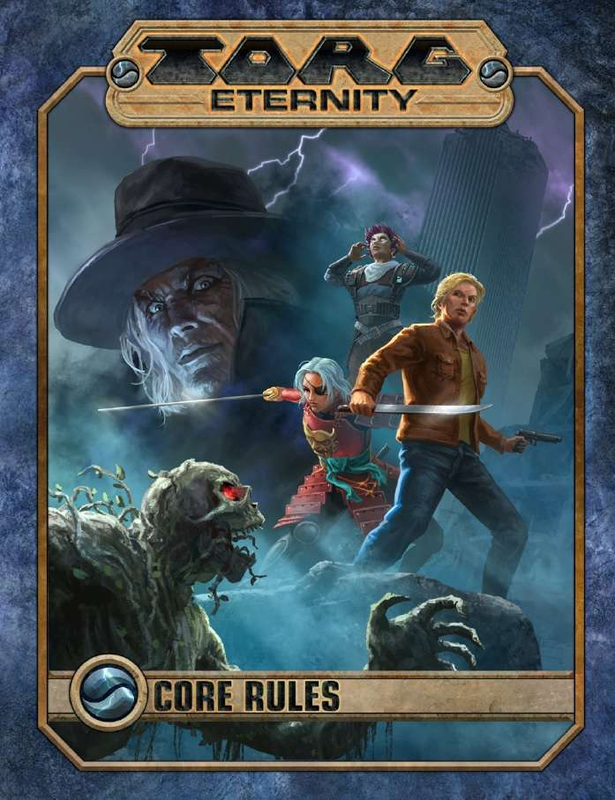 Frankly, all of Torg Eternity offers some flavor of pulp for those who want to carry it through the cosms, making it a great Pick for Pulptastic Week. With my friend, Scott Crosson, planning to relaunch his beloved Pulp-era Savage Worlds campaign and my friends Cynthia Celeste Miller and Barak Blackburn bringing On the Air to life recently, it seems a great time to have a Pulptastic Week! As with so many other Spectrum titles, this game is designed specifically to reflect both the genre of the 30s and 40s pulp adventures and the specific nature of those adventures as presented as radio plays (including making sure you get that sponsor mention in). 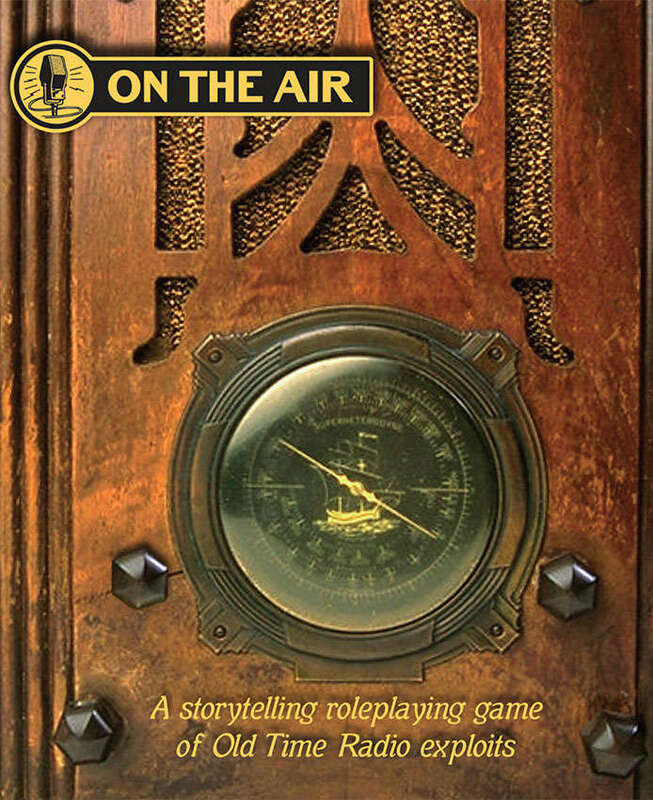 The spirit of Old Time Radio lives again with On the Air, the storytelling RPG that faithfully emulates the action, excitement and mystery found in the radio programs of the 1930s and ’40s. Construct a series, create a sponsor, whip up characters and you’re ready to play. Once the series is created, very little prep time is required to play the game, thanks to the narrative structure of the Intention System. Get ready to engage in an all-new way of narrating your character’s actions… and don’t forget to promote your sponsor’s products to earn the potent Sponsorship Token! Each episode is allowed only a certain number of die rolls in order to depict the tight time restraints of those old programs, so you’d better make every action count! On the Air is best enjoyed by one Director and between one and three players. You’ll need d4s, d6s and d8s. As we close out Go to Town Week, me and the guys at Evil Beagle Games decided we’d step up and do a great package of stuff that goes along with the theme. The About the Town Bundle features products from Bill Keyes’ Cities of Wonder line (all of them, in fact, including the brand-new The Imperial City) and a number of town-useful products from Michael Surbrook Presents. The entire package of nine products (featuring stuff for Savage Worlds, Pathfinder, 5e, and lots of system-agnostic material) is 25% off regular price. Clay Town – Clay Town is an impoverished city on the far edge of a great empire, founded in hope but fallen on hard times. It’s rife with crime, corruption, and a dark cult that hopes to use its seclusion to further their evil ends. Can your heroes save Clay Town from itself (or alternately, can they profit off its misery and get away before the whole thing comes down on them)? Empty Rooms & Vacant Windows (Savage Worlds) – Haunted: inhabited by or as if by apparitions; “a haunted house” Michael Surbrook, Evil Beagle’s resident scholar and master-of-cleverness, delves once again into the creepy and unnerving as he helps fellow Game Masters explore all the ways in which a truly haunted domicile can become the center of a great tale at the game table. Filthy Lucre – Is the money on that character sheet just a recorded number, or is it an important part of the narrative experience for you and the other players at the table. Michael Surbrook once again brings his extraordinary gifts of knowledge, historical research, and a love of useful detail to a subject that affects every fantasy game you might play in. The Grand Melee (Pathfinder, 5e, Savage Worlds) – Flashing swords, shining armor, and shattering lances… …are all part of the greatest sporting event of the Middle Ages: the Tournament. With The Grand Melee, you have all the information you need to include a medieval tournament in your campaign! The Imperial City – The Imperial City was once the heart of a mighty empire, but generations ago a pair of powerful dragons laid it to waste then claimed its burned-out ruins as their lair. Now, over a hundred years later, they and their progeny still hold unquestioned rule over these lands. Will your brave heroes dare to enter their territory and explore these ancient ruins? Will you find treasures untold, or will the savage dragons leave your bones to bleach in the sun? Unpleasant Discoveries (5e) – A long-time fan of settings like Ravenloft, Evil Beagle’s resident scholar and master-of-cleverness, Michael Surbrook, brings another useful toolkit to bear for Game Masters who want to elevate their games. In this case, Unpleasant Discoveries is an extraordinary treaties on how to run compelling horror-fantasy. Whispering Pines – Whispering Pines is a tiny village hidden deep in the north woods, surrounded by a deep pine forest. It has always been a dark, isolated, and unwelcoming place. Now it is a nightmare for those who live here, a nightmare which threatens to spill out from this secluded enclave and engulf the entire world, because it has been taken over by the undead. “Istanbul was Constantinople, now it’s Istanbul, not Constantinople…” – They Might Be Giants. Oh, come on, you know I had to, right? Today’s Go to Town Week Pick goes back to one of the greatest “towns” in all of history, the cosmopolitan center of civilization in the medieval era, with a healthy dose of magic and myth thrown in. Mythic Constantinople takes you to a city-that-never-was, yet based fully on a city that defined multiculturalism at a time when such a thing could not otherwise easily exist (such was the power of burgeoning international trade). For those running historical fantasy, or those just wanting to see what one of the greatest cities in history might look like with fantastic elements, this is a must-have. PS – The Design Mechanism, the folks behind this excellent work, are the same folks who just announced the Jack Vance-based Lyonesse RPG. We mosey on through Go to Town Week with this Savage Worlds based settlement of the Old West. 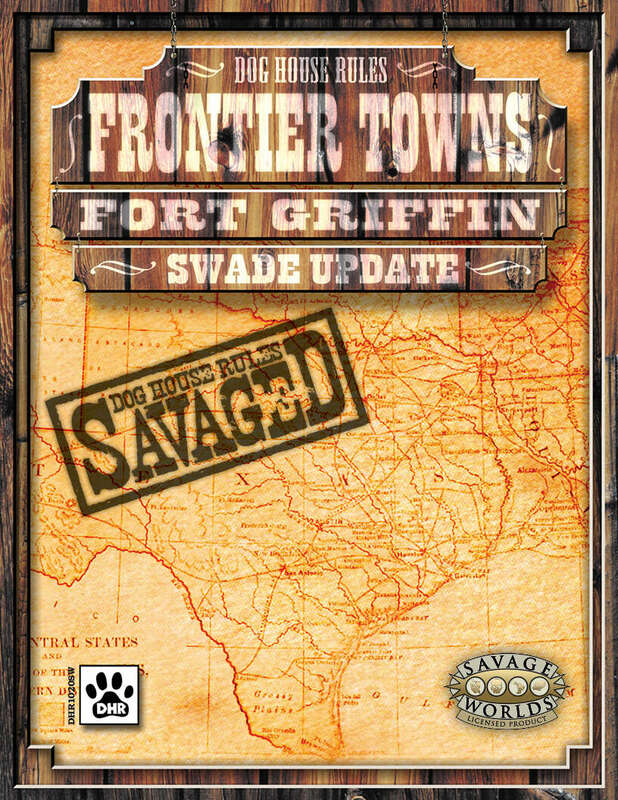 Fort Griffin Savaged mixes history and fiction to give you a place for adventuring and storytelling in any iteration of the West you prefer (weird or otherwise). Lots of extraordinary detail and great maps, making this a great home for many a campaign or a single night’s entertainment. 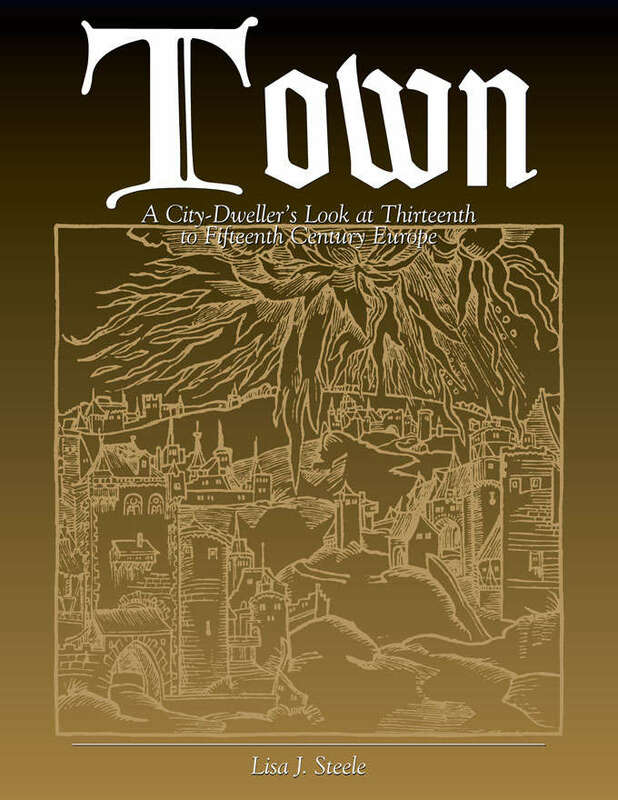 The full title for this product is Town: A City-Dweller’s Look at 13th to 15th Century Europe, and it’s a treatise by Lisa Steele that will serve anyone running a campaign with such genre trappings or historical elements, as well as a fine overall source for creating your own urban settings and experiences. It’s also a perfect entry for Go to Town Week. Enjoy a trip to a world where powerful priests can charge sinners with the death penalty, and where knights gather for illegal combat sports … where thieves can thumb their nose at the authorities from within the walls of a church, and where a foraging band of the king’s own soldiers is more dangerous than a pack of brigand outlaws. In the midst of all this, ordinary people survived to work the land, weave the cloth, and pray for safety from famine and plague. The real Middle Ages were as brutish and wild as any fantasy world. Town: A City-Dweller’s Look at 13th to 15th Century Europe is a sourcebook examining medieval life from the perspective of the guild and merchant-house, through the lives of craftsmen, traders, students, thieves and mercenaries – dwellers in medieval europe’s cities and towns. It’s a friendly primer on the basics of medieval life, and a treasury of hard-to-find details for the Game Master or enthusiast. Features in Town include appendices exploring specific historical examples (the cities of Paris, Venice and York) to provide added perspective on – and some telling exceptions to – to the ideas explored in the main text. Town is by Lisa J. Steele, author of Medieval France from White Rose Publishing, GURPS Cops and GURPS Mysteries from Steve Jackson Games, and Town’s best-selling companion volume: Fief: A Look at Medieval Society from its Lower Rungs. Produced and indexed by S. John Ross, creator of the All-Systems Library and of works ranging from Risus to the Star Trek Narrator’s Toolkit to GURPS Russia.